Albergaria El-Rei Dom Manuel is a building restored within the urban characteristics of the village. It is of important historical, architectural and cultural value. This house was created by combining elegance and tradition and with the idea of our customer's comfort in mind. 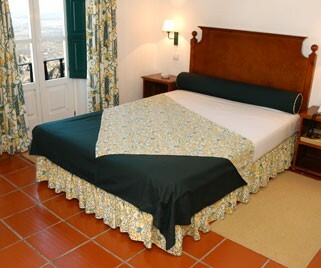 We offer excellent service and you are always welcomed with refined warmth. We believe this is the ideal place for relaxing vacations or weekends. 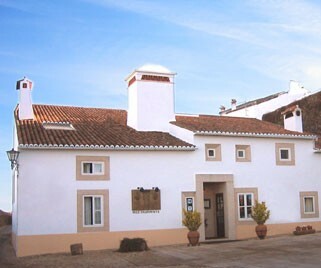 The Alentejo is famous for the variety of its excellent gastronomy. 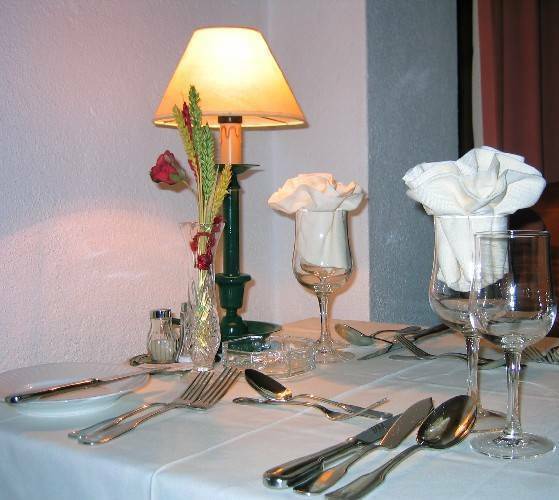 We suggest you the richness and the taste of all regional dishes at our restaurant. 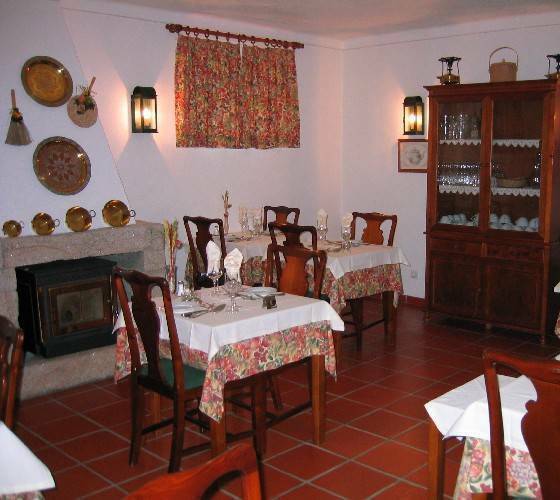 Our menu has delicious choices and a variety of Alentejo wines to accompany your meal. 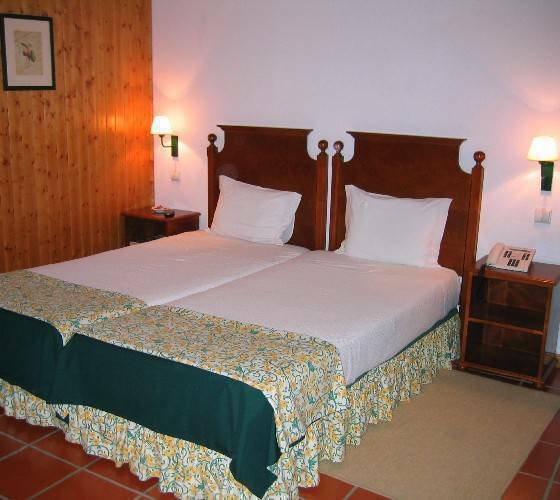 All our rooms have private bathrooms with hairdryer and amenities, and are equipped with direct telephone lines, an automatic awake system, satellite and cable television with remote control, central heating and air conditioning. Our rooms are also covered by a free high-speed Wi-Fi Internet ADSL connection and at the reception there is an Internet Access Point, free of charge. A general safe deposit box is also available. The village of Marvão is a National Monument and has been a candidate for a World Monument, like Évora (125km) and Cáceres in Spain (120km) already are. The S. Mamede Natural Park is a protected area where chestnut, holm, cork and pine trees have their important and spectacular presence. The varieties of exotic trees together with the gurgling of the rivers, give us a profound sense of peace. And to this natural landscape, we add the magnificent historical and archaeological past. Besides the village of Marvão, we suggest a visit to the Roman City of Ammaia, and the shacks of Cabeçudos. You can also walk on a Roman road, which ends at the Severs river swimming pool in Portagem, and visit a museum dedicated to the Jews who passed through when expelled from Spain in the 15th century. If you like sports with a calm atmosphere and beautiful landscape, and all within approximately 5kms, you can play golf on the "Ammaia Golf Course"; or, sail or canoe on the "Apartaduras" dam. 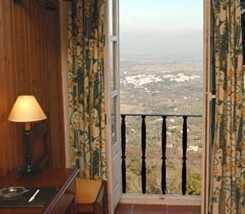 In the heart of Natural Park of S. Mamede, the village of Marvão is 20 km away from Portalegre and 15 km from Spain border.